The Cambodian government is hoping that the introduction of a robust, formal halal certification process for restaurants and food producers will lure more Muslim tourists to the Kingdom and also foster the growth of the Kingdom’s fledgling halal certified food sector. In June Minister of Commerce Pan Sorasak met with Turkey’s Ambassador to Cambodia, Ilhan Kemal Tug, to complete a sub-decree on halal certification which has subsequently been presented to the Council of Ministers for approval. At the same time a committee representing 12 ministries and the Council of Jurists was established to oversee the completion and implementation of the sub-decree . 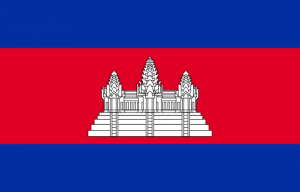 Soeung Sophary, a Commerce Ministry spokesperson, told The Cambodia Daily that this is an important starting point because Cambodia has never had this kind of certification. Malaysian experts have been brought to Cambodia to aid in the proper regulation of halal practices, she said. While the cost of a reliable halal certification system might not benefit Ly Ah Shi who runs a small market stall selling halal-killed beef in the video above – in Brunei, a halal certificate costs $50US, an annual renewal of $30, plus any expenditures associated with an audit, such as travel expenses – it will assist commercial producers such as SLN Meat Suppliers (See: Australia Livestock Export Market Opens in Cambodia), who have been looking to cash in on exports to Malaysia where the halal food market was valued at more than $1.9 billion in 2013. With Asia accounting for some 65 per cent of the global $700 billion halal food sector – in 2015 China was the largest export destination for halal goods importing $1.16 billion in products – and about 42 per cent of the Asean Community (AC) comprising followers of Islam, successfully wooing the Muslim market could be lucrative. In Indonesia the halal market is worth more than $10 billion annually with annual growth of 7-10 per cent, while in Malaysia the halal market was valued at $1.9 billion in 2013 while contribution to GDP is expected to hit 5.8 per cent in 2020, an increase of 190 per cent since 2013. In Buddhist majority Thailand the government’s efforts to target the Muslim community has paid off handsomely. Now the world’s fifth largest halal food producer globally with a 5.6 per cent share of the global halal food market, the halal food sector generates more than $5 billion dollars in sales annually. At the 12th World Islamic Economic Forum (WIEF) in Jakarta in August more than $899.6 million in deals were signed over the three day event which attracted some 2,500 delegates from 69 countries, including seven world leaders. Delivering the keynote address at the time Malaysian Prime Minister Najib Razak said that in 2014-2015 the Islamic economy grew at almost double the global GDP growth rate, while Muslim consumer spending is forecast to reach $2.6 trillion by 2020. The annual WIEF saw ten memorandum of understanding (MoU) involving 13 Malaysian, eight Indonesian, and two Japanese corporations signed. Deals included Malaysia’s first bio-halal industrial park with a halal eco-system, a $12 million Oncology Centre in Tangerang, Indonesia, and a $862 million affordable housing project in West Jakarta. In addition the Financial Services Authority of Indonesia (OJK) and the Central Bank of Malaysia (Bank Negara Malaysia) signed a deal that will see three Indonesian banks subsidiary offices in Malaysia under the Asean Banking Integration Framework (ABIF) that will see them treated like a local bank. A reliable halal certification system is also expected to boost inbound Muslim tourist numbers. In 2015, Cambodia attracted 4.7 million tourists (See: Cambodia Visitor Numbers up in First Six Months) from around the world, though only a meager 5.4 per cent came from Muslim majority Asean countries such as Malaysia and Indonesia, while Middle Eastern countries represented only 0.3 per cent of all inbound Cambodia tourists in 2015. In the clip above Mao Hasan from CamTours says that halal food is not easy to find in Cambodia, with some restaurants simply putting a halal certification on their banner. Ms Ly agrees, saying that even for the majority of Cambodia’s 2 per cent Muslim population sacrifices have to be made when looking for halal produce and eateries. With the first genuine Cambodia halal certificates expected to be issued early next year the country could soon be tapping into what is probably the largest single niche market in existence.